James Corporan’s installation of new work explores ideas of dissolving realities, quantum realms, and the future of technology. Works included in Computronium utilize glass, folded paper, and computer-controlled lighting. A native New Yorker, James Corporan is a Brooklyn-based artist working at the intersection of sculpture, photography, drawing, and lighting. 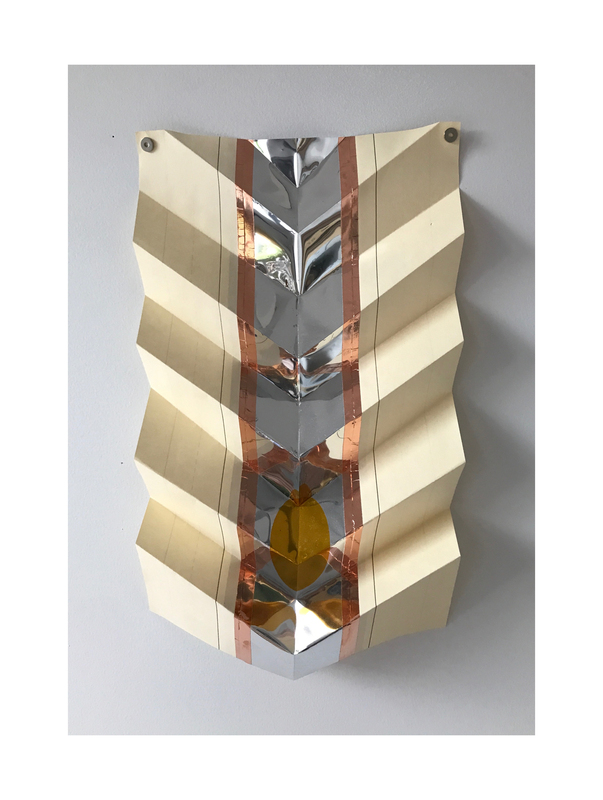 Informed by his 15 years of experience working in the glass lighting manufacturing and repair field, his mediums include carved glass, folded paper, photography, found objects, and programmable LED lights. James Corporan: Computronium is presented through UrbanGlass’ Window Gallery / Community Activation Project, an open call for emerging artists to present exhibitions, performances and other community-engagement programs in our ground-level Rockwell Street windows.